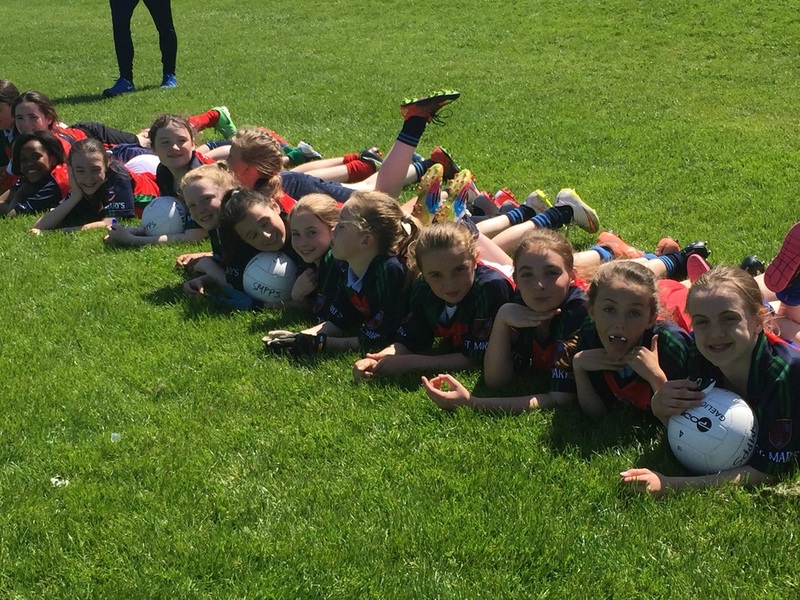 The girls Gaelic football team got their Cumann na mBunscol Urban Summer League campaign off to a strong start on Tuesday 31 May last. The team, captained by Melissa Raheem showed great skill and determination from the start. St. Mary's PPS had convincing wins over both Scoil Mhuire na Trócaire, Ardee (3-6 to 0-5) and Presentation P. S., Ballymackenny who were beaten by 11 points to no score. This is largely thanks to the outstanding efforts of full-back Jennifer Murtagh as well as goalkeepers Mariana Macari- Kierans & Faye Brady. 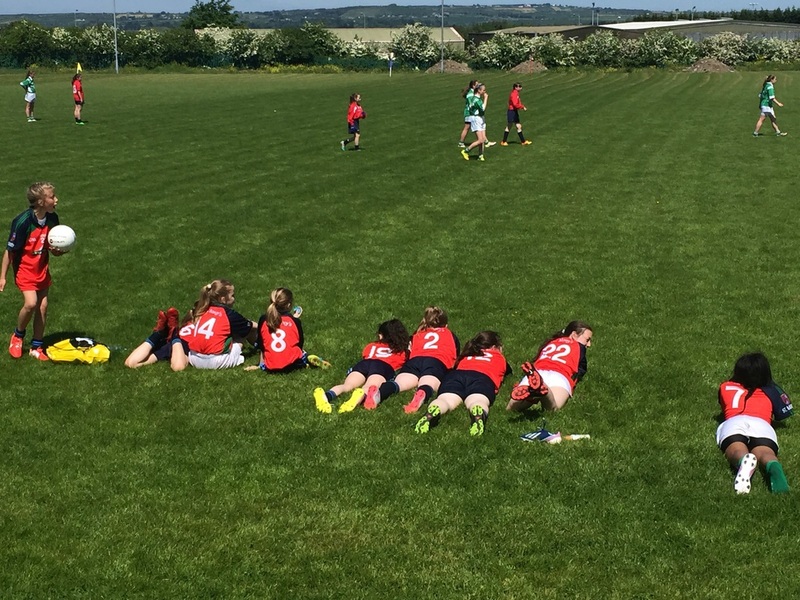 The ladies from both Ardee & Ballymackenny found it difficult to penetrate the mighty mid-field combination of Elizabeth McGowan & Martha Nyarko supported by pervasive half- back line of Mia O'Byrne and Melissa Raheem. Despite injury, reliable Caitlin Rooney was top scorer on the day with a tally of 2-3, showing great skill, determination & grit throughout. The girls will now proceed to the semi-final stage of the competition where they will face CBS Dundalk. Best of luck ladies! 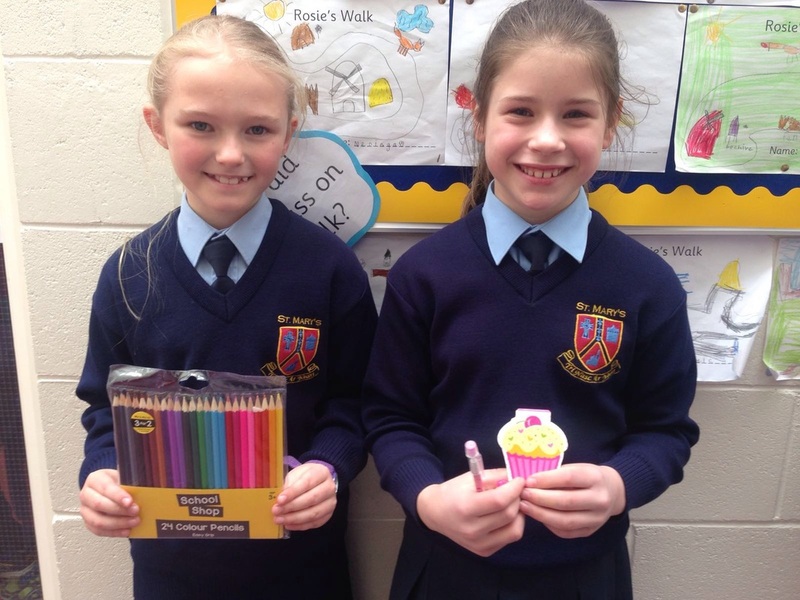 Veteran footballers Rachel & Jennifer from Rang a Sé have been on the Gaelic team since 3rd Class. 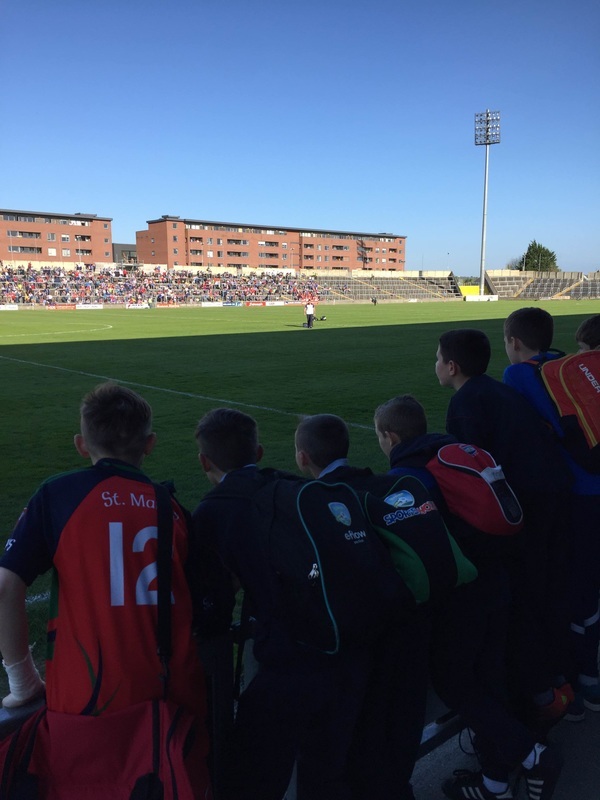 Boys' Team represent Louth at half time of Louth vs Carlow match! 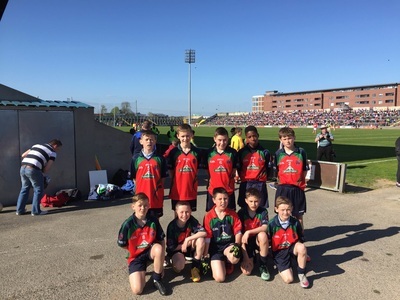 On Saturday the 14th of May St Mary's PPS represented Louth in an exhibition match versus Carlow in O'Moore Park. The game was played in sweltering conditions more fitting of the famed Maracana than the County Laois venue. 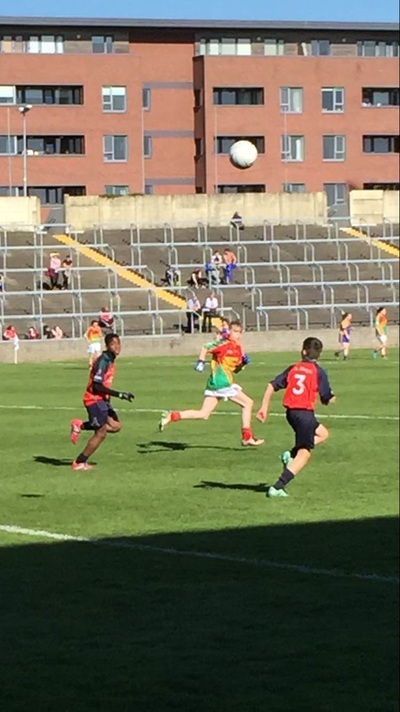 The samba influence didn't stop there and clearly inspired the Drogheda men with swashbuckling midfielder Daniel Reilly nutmegging his Carlow opponent in the opening seconds of the game. 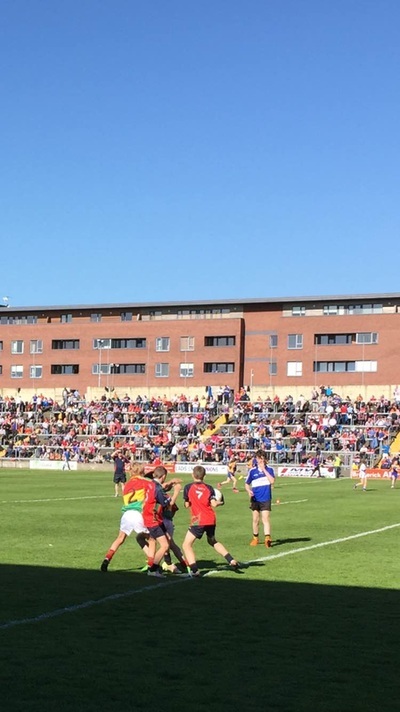 The elegant Reilly was immense on the day, showcasing a wide array of long and short passes that drew rapturous applause from the large crowd in attendance. The electric Joe Comiskey was a constant menace throughout as he carved the Carlow men open at will. Ryan Connolly once again proved why he is one of the most feared marksmen in the county with a stunning point from 40 yards. The St. Mary’s men were excellently marshalled in defence by Captain Killian McLaughlin. McLaughlin was ably assisted by goalkeeper Liam Gaffney and the tigerish tackling of fellow defenders David Nkpa, Eoghan Brennan and Calum Sheedy. 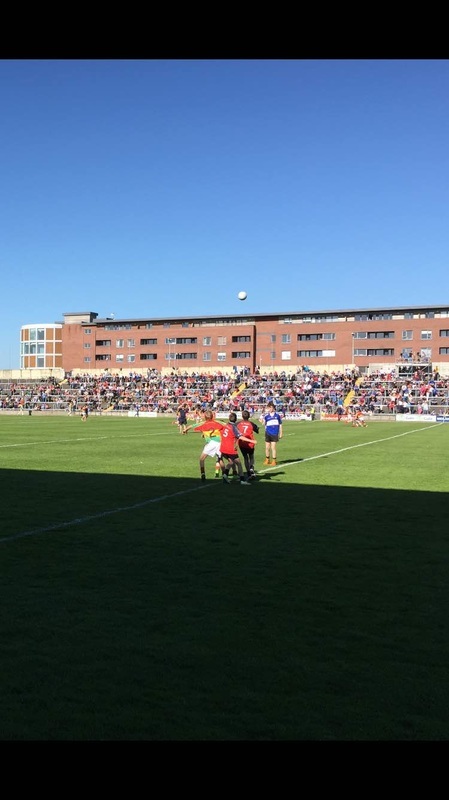 When corner forward Conor Nolan bamboozled two Carlow men with his trademark dummy before slotting over a point, it was clear that this was going to be St. Mary’s day. The final score of the day fell to the incredibly skilful Patrick O’Connell, who dodged and weaved his way through the Carlow defence before rocketing the ball over the bar. St. Mary’s showed tremendous skill and spirit throughout the game and were a credit to their school, their families and county on the day. As part of the 'Europe of Myth and Legend' project Ms. McEvoy's 5th class worked on creating a movie version of 'Fionn and the Giant', the mythical tale of how the Giant's Causeway was formed. We hope you enjoy it! Junior Infants enjoying their new play area. The toys are rotated among the Junior Infant classes at 12.30 playtime. Each class gets one day a week. Thanks to the yard monitors for all their help. On Sunday morning, I received the body of Christ by Making my First Holy Communion. My Dad took lots of photos in the garden. My Nanna and my cousins came to the house to help me celebrate. 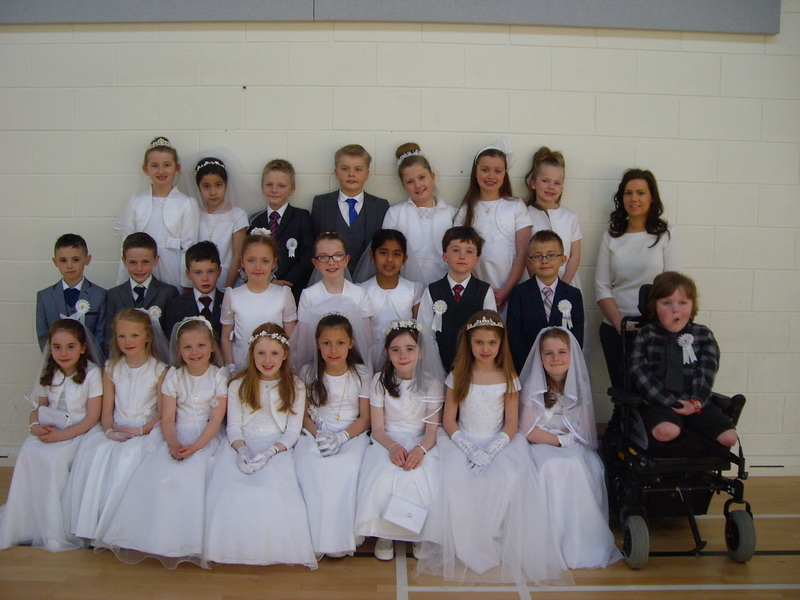 On Sunday 17th of April, I made my First Holy Communion. I received the body of Christ. Me and Seán Óg brought up the gifts. Eoin, Rebecca, Nichole, Rhianna and Emma said a reading. 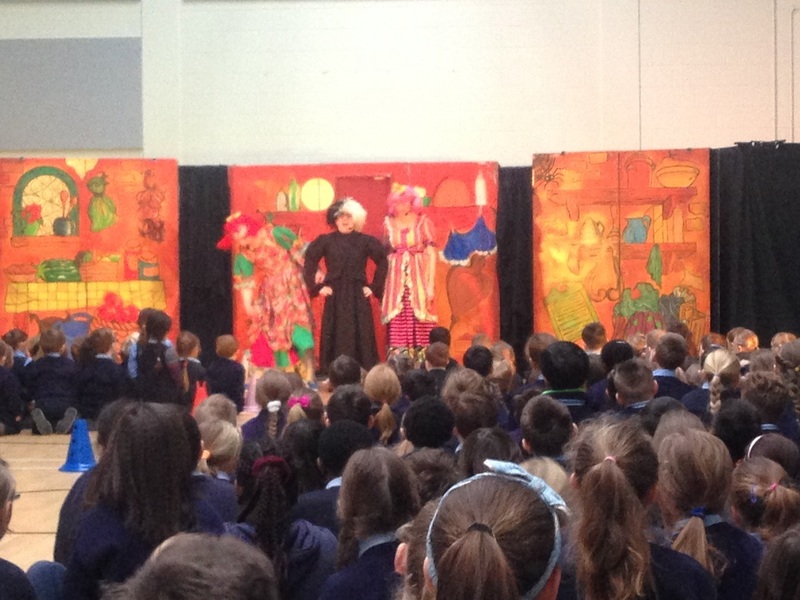 Callum and Louise sang 'My shepherd is the Lord' and we all joined in. Our teacher was very proud of us. It was a great day. On Saturday, I got my house ready for my party after my communion. I was so excited and scared at the same time. On Sunday I received the body of Christ and made my First Holy Communion. When we came home from the church we had a party. I had so much fun. On Monday, we got our photographs taken at school. We went to other classes and showed them our special clothes. It was a great day. I woke up watched youtube on my Samsung Galaxy tablet.Two hours later I put on my suit. Then I opened a lot of cards. My uncle got me cufflings they are super special. Then later I went to the church. Oran did the reading . Lucy, Redas Mya did the prayers of the faithful. Charlie did the gifts .Soon after all that I went up for Communion. After, Coner did the prayer After Communion . Then I took a lot of photos. After I went out of the church I went home to cut my cake. Later I went to Bru . I got a balloon.I ate chicken and chips. After I went to Smyths. I bought teddys. Then went to bed. lucy. Prayer after communion was read by Conor. Charlie brought up a gift.Estela,Sean and Lucy sang My shepherd is the Lord. Parents and Grandparents came. It was Fr.Joe's birthday on our Communion. After the communion my friend came to my house and then my cousin came over. We played hide-n-seek and Donkey we played hotpatato,time bomb too. We had a mini party. It was Great Fun. 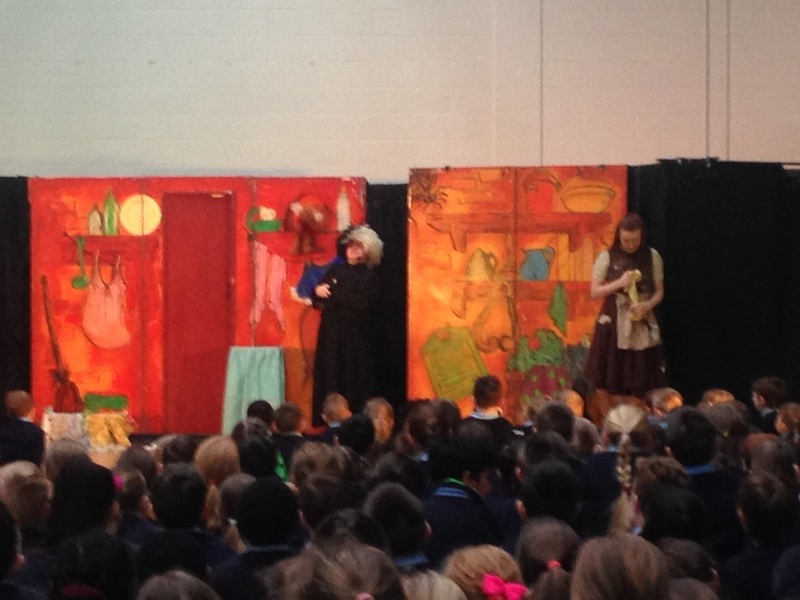 Congratulations are in order to St Mary's PPS student Emily Profir after her outstanding performance at the weekend. 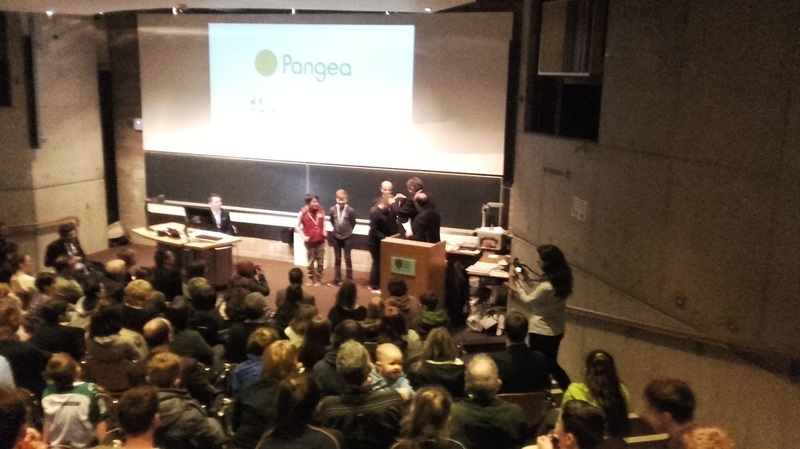 Emily participated in the final of the PANGEA maths competition and despite intense competition within her year group she emerged as the winner of the coveted first place. 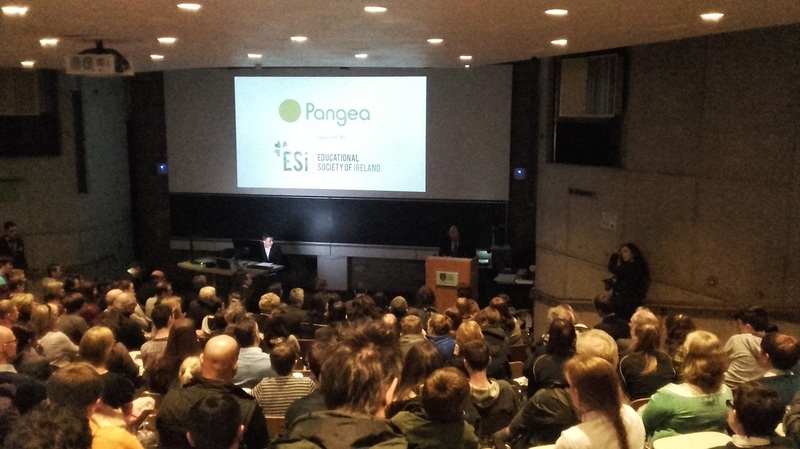 PANGEA is held in over twelve European countries and this year in Ireland saw over 5000 students participate within three year groups : 6th class (primary), 2nd year and 5th year (secondary). The final was held in the Griffith Lecture Theatre in Trinity college Dublin on last Saturday the 16th of April. ​Emily was presented with a medal and a 150 euro voucher by guest speaker Gerard Keane. ​St Mary’s parish Primary School held their Proclamation day flag raising ceremony on Wednesday 16th March. 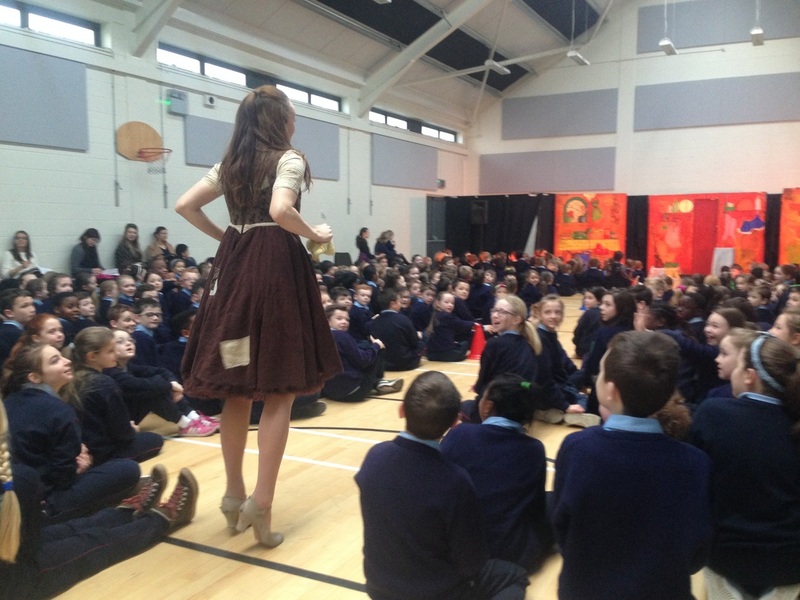 The ceremony began with a traditional Irish tune on the accordion from Ms Perry. This was followed by Mr Ward who reminded the pupils that the original Proclamation as read by Padraic Pearse on the steps of the GPO in 1916 stated the aim of establishing a free country with equal rights and opportunities for all that would cherish all of the children of the nation equally. 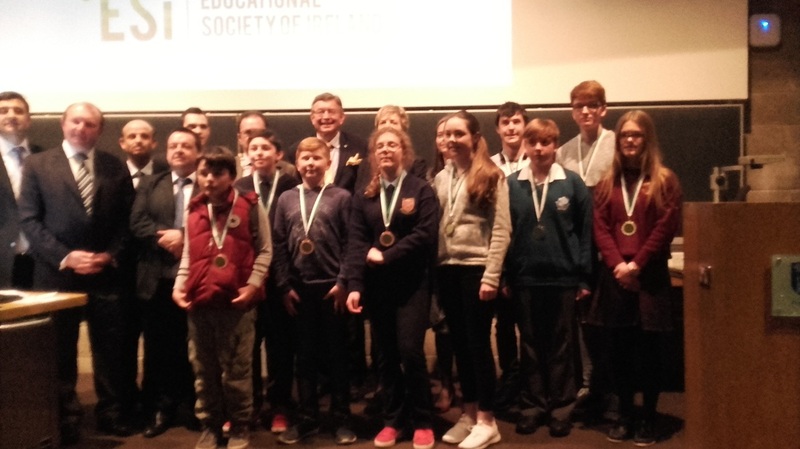 This was followed by a reading of the school composed 2016 proclamation which was put together and read by pupils of Ms Anderson’s 6th class who had consulted widely with pupils throughout the school as to the content. Next Mr Weir briefly explained the history of the tricolour emphasising the significance of the white band in the centre of the flag at the time of its origin and drawing parallels with life in our school community today with the peace and harmony amongst the different religious faiths in our school and many different ethnic origins and nationalities of our school population. The flag was then raised to a rousing rendition of Amhrain na bhFiann followed by 6th class pupil Niamh O Regan who rounded the ceremony off with a lively traditional air on the tin Whistle. 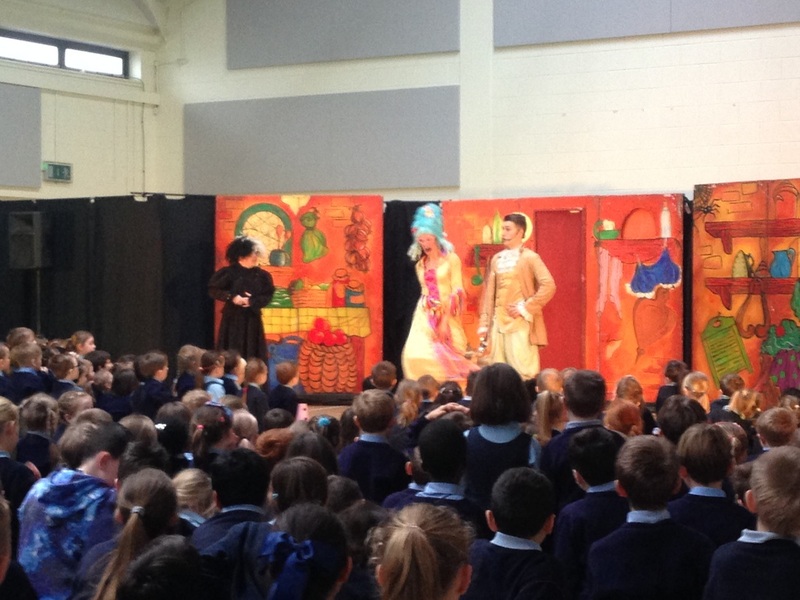 Catholic Schools week gave us the opportunity to celebrate with the more senior members of our school community. As part of the activities over the course of the week we held the annual grandparents mass in the PE Hall. 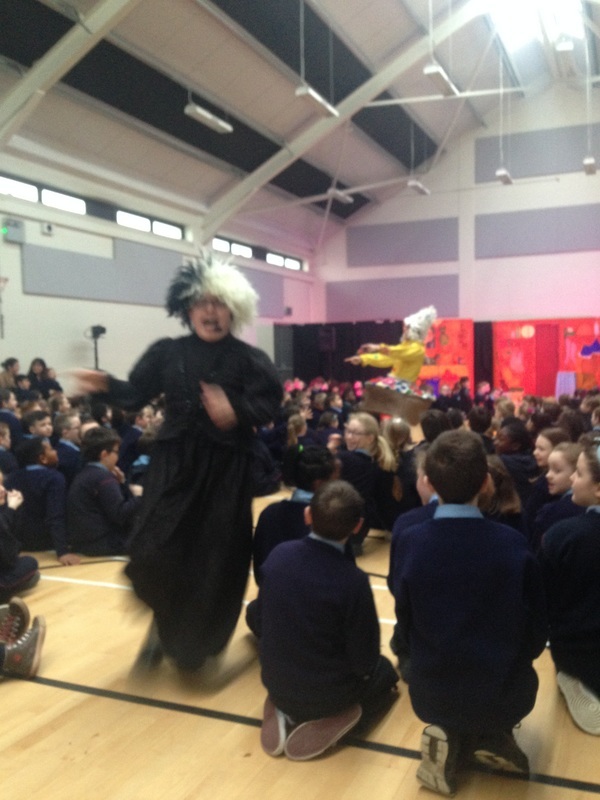 Students from 2nd, 4th and 6th class were in attendance and, with Fr Joe celebrating and the Sisters and choir providing musical accompaniment, it was a lovely gathering for all concerned. The hall was decorated with pictures and stories from the students about their 'Nannas 'and 'Gagas' and after the mass the students could show their grandparents the work they had done. 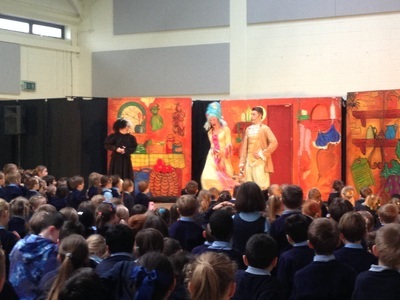 Thanks to all those who helped to organise what must be one of the nicest celebrations in the school calendar. 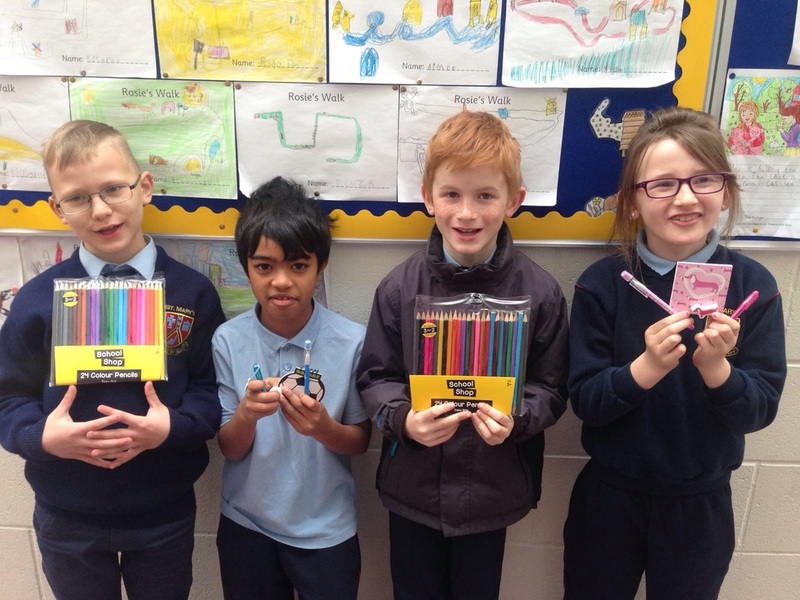 Our first week of Operation Healthy Lunchbox has been a huge success (See slideshow below) and to build on that Gerry's Fresh Food Store have launched a lunch offer for any students from the school. The offers are based on Safefood Ireland's 5-Day Healthy Lunchbox Plan and include some grain, protein, veg, fruit and a bottle of water. All this for an amazing €2.50! So get down to Gerry's today and ask for an SMPPS Special! As ever, thanks to Gerry's Fresh Foods for their continued support! WEEK 6 - Congratulations to all our winners on the 6th and final week of this year’s 6 Week Draw and thank you to everyone for your support. WEEK 5 - Congratulations to all our winners on the 5th week of this year’s 6 Week Draw and thank you to everyone for your support. ​WEEK 4 - Congratulations to the winners of the 4th Week. Your continued support for weekly draw is very much appreciated!! Congratulations to winners of the 3rd Week. Thank you to everyone for your continued support. As you’re aware, healthy eating habits started early in childhood can last a lifetime and lunchtime provides one third of a child’s daily nutrition requirements. With this in mind, RTE's Operation Transformation will launch a new healthy lunchbox initiative during their show on Thursday 21st January at 8.30 p.m. 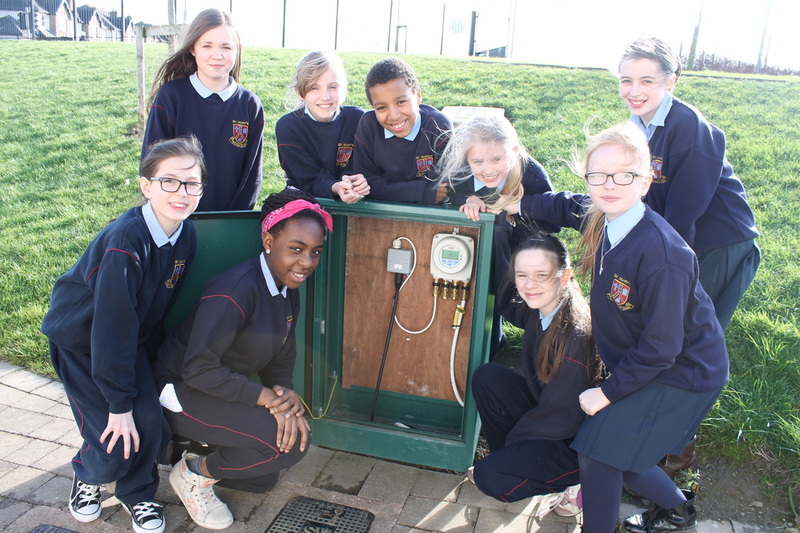 The initiative ‘Operation Healthy Lunchbox’ which is also supported by Healthy Ireland, will be led by the TV show’s dietitian Aoife Hearne, and is inviting schools and teachers to upload photos of their healthy class lunchboxes via the Operation Transformation website. Each week, Aoife will choose the healthiest lunchboxes and presenter Kathryn Thomas will make a surprise visit to some winning schools live on 2FM’s Nicky Byrne Show. We are asking parents to come on board and help us with the initiative. Attached are some ideas on how to create a healthy affordable lunchbox that is lower in sugar. There is also an example of a 5-day lunchbox planner. We also recommend viewing RTE's programme 'Sugar Crash' available on the RTE Player until 12th of February. Students from 6th class will begin checking the contents of lunchboxes from Monday 25th January and will be awarding prizes to those with the healthiest lunches in each class! Let's all - teachers, parents and students - get behind this wonderful idea and make our children healthier and happier. 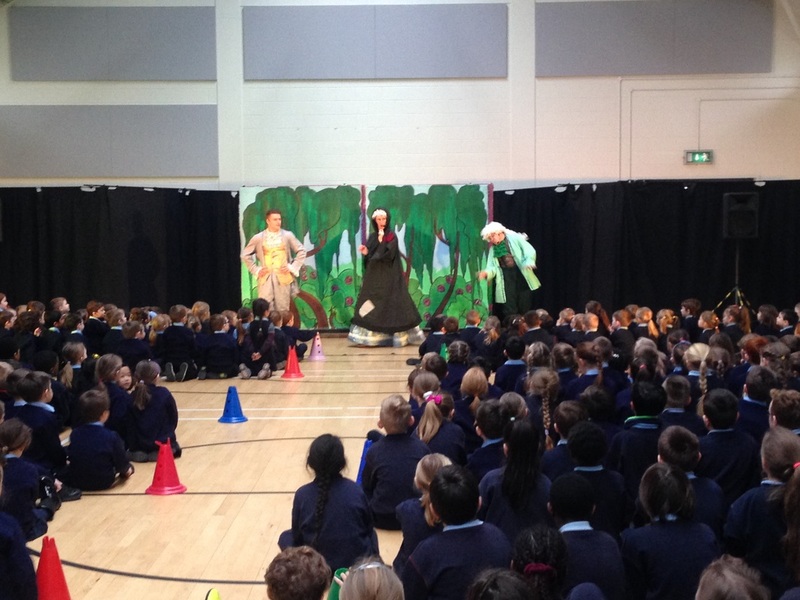 M&M Production of Cinderella a big hit! The team from M&M Theatrical Productions returned again to SMPPS, this time to put on their production of Cinderella! This was a 'slightly' different version to the popular one we read in our books but of course at the end they all lived....(you know the rest!). 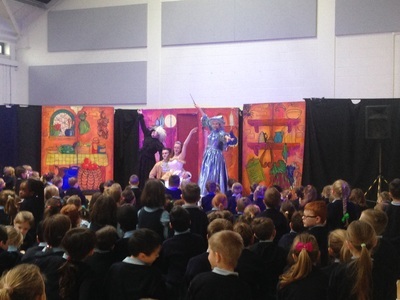 They performed two shows so all the school could get to see. 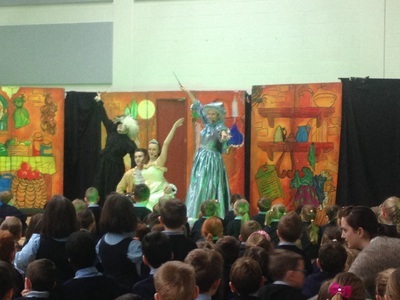 Infants and 6th class alike all enjoyed the show and sang along to some modern songs like "I Got Bills", "Dance With Me", "Cheerleader" and "Uptown Funk". 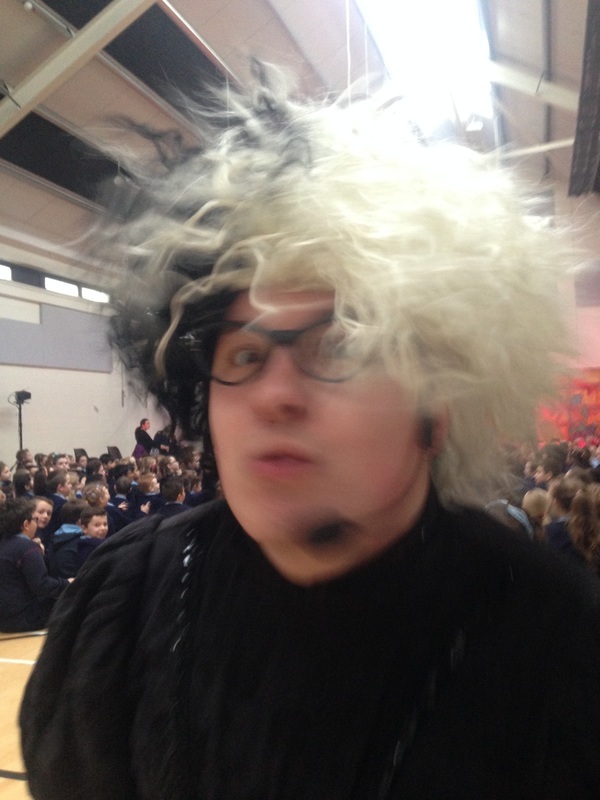 However, the highlight of the show for everybody was undoubtably Mr.Weir getting a hug off Cinderella's wicked step-mother! !